The Budget SLP: Try TinyTap in Therapy! Last month, I taught an iPad class for special educators and one of the favorite apps presented was TinyTap. TinyTap allows you to create games, interactive books/stories, and other activities with your own photos or photos found with the search tool. It even allows you to draw your own pictures or draw on pictures. Steps to creating the activities are unbelievably simple. OT's With Apps has a good step by step demonstration on their blog. Personalize your game by recording questions and comments. Add music by choosing from one of the many soundtracks. There are a few free activities in the Marketplace and you can share your activities with others that use TinyTap through social media or e-mail. There are so many ways that SLPs could use this app. I plan to use it as a probe next week to determine a child's understanding of pictures of his environment. 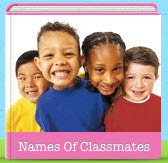 SLPs can use it for articulation, comprehension, making predictions, retelling stories or any number of objectives. TinyTap is geared for younger children, but at Langwitches Blog, it was used by 5th grade students to create vocabulary review activities for younger students. 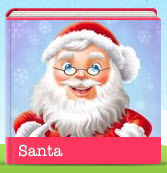 Check out my short sample activities, Santa and Names of Classmates. You will need to download the app and then download the activities so that you can open them in TinyTap. You cannot view these activities on you computer. Visit TinyTap, The Blog for more ideas.